Wendy Devine, 34, is alleging in a negligence/malpractice suit filed on September 27, 2016, in Montgomery County, Maryland, that LeRoy Carhart so severely botched her late-term abortion earlier this year that she nearly died. She endured such extreme injuries that she continues to suffer permanent disability and will likely never bear another child. Carhart is perhaps the best known abortionist in the country that will openly conduct abortions throughout all nine months of pregnancy, and does so at Germantown Reproductive Health Services in Germantown, Maryland. Once his home state of Nebraska passed a ban on abortions after 20 weeks in 2010, Carhart was forced to relocate his lucrative third-trimester abortion practice elsewhere. He chose Maryland for two reasons. First, Maryland has no gestational limit on abortion that would limit his business. Secondly, there were few laws to protect women from shoddy abortion practices. It was the perfect environment for someone like Carhart, who was as prone to an above average number of botched abortions, as Operation Rescue witnessed first-hand when he worked at a late-term abortion facility in Wichita, Kansas, until it closed in 2009. Devine reported to the Germantown Reproductive Health Services on January 18, 2016, trusting that Carhart and his clinic staff were the experts in the field of abortion they said they were, and competent to conduct her late-term abortion. That misplaced trust nearly proved fatal. During her first appointment, Devine was given two injections into her uterine cavity through the abdominal wall, then had cervical dilators inserted. The injections were meant to end the life of her baby prior to a planned Dilation and Evacuation (D&E) dismemberment abortion scheduled for the next day. D&E abortions are commonly used in the majority of late-term abortions — especially if the abortionist is in a hurry. The rarer Induction Method, which births an intact — but still very dead — baby, requires three to four days to complete. The D&E method can be done much quicker. Afterwards, Devine was sent back to a nearby hotel, where she had made arrangements to stay during the two-day abortion process. The next day, Devine dutifully reported back to Germantown Reproductive Health Services for the completion of her D&E abortion. Once the procedure was done, Devine immediately knew something was wrong. According to the malpractice complaint she filed in Montgomery County, a lethargic Devine complained of severe abdominal pain. Because she was bleeding so heavily, she also suffered from very low blood pressure, which caused her heart to race as it struggled to pump an insufficient amount of blood through her system. Throughout the day, her condition deteriorated to the point that at 7:41 p.m. – long after closing hours – a 911 call was finally placed by a GRHS employee. But to listen to the 911 call for help, one would think the emergency transport was a simple precautionary act. On the heavily redacted 911 recording, obtained by Operation Rescue, a cheery clinic worker is heard asking for transport for a patient for observation, downplaying the seriousness of the injuries, which become apparent later in the call. Carhart and his wife, Mary Lou, could be seen on security camera footage leaving the abortion facility immediately after the ambulance, but in the opposite direction. Devine’s court records filled in the details that the redacted recording left out. Normal hematocrit levels for females is 36 to 48%, but Devine’s measured only 16%. Normal hemoglobin levels for females is 12-16, while hers came in at 5.4. Hospital E.R. doctors called in a gynecologist who examined her and prepped her for surgery. At 10:20 p.m., Devine was rolled into the emergency room for an exploratory laparoscopy, but what was discovered was so serious that the procedure was converted to an open laparotomy and an additional specialist was called in. • The presence of a large amount of blood in the abdominal cavity between the inner abdominal wall and the organs, which was evacuated. • Once the blood and hematoma were out of the way, surgeons discovered that the entire right side of her uterus had been torn open from top to bottom. • Tear in the right uterine artery that required surgical closure. This likely accounted for the internal hemorrhaging. • The right ovary was severely damaged and left hanging by a thin piece of tissue. It was completely removed. • Significant tear in the tissue that holds the lower colon in place. Once all her injuries were repaired in what had become an “extensive” surgery, according to Devine’s complaint, she was transferred to the recovery room and the tube that held open her airways was removed. But Wendy Devine was not out of the woods yet. Not by a long shot. In recovery, Devine suffered a spasm of her swollen larynx and required re-intubation. She was transferred to the Intensive Care Unit where she developed aspiration pneumonia. She developed sepsis, a dangerous, life-threatening condition that occurs when the body’s response to infection causes damage to other organs. Devine spent a full seven days in the ICU and was hospitalized 11 days in all. As a result to the horrifically botched abortion, Devine suffers “severe and permanently disability,” along with emotional anguish and fear. The complaint alleges gross violations of patient care standards by Carhart and Germantown Reproductive Health Services. To back up that claim, an expert opinion (see pg. 12) was submitted with the complaint from a physician who reviewed Devine’s medical records and determined that her serious injuries were due to Carhart’s violation of standards of care. Devine has filed a similar complaint in Baltimore County as well. Both cases are active and progressing. Carhart also has other legal troubles to worry him. In May, the House Select Panel on Infant lives issued subpoenas to Carhart and GRHS for information related to his suspected involvement in the illegal trafficking of aborted baby remains, and incidents of babies that may have been born alive during late-term abortions conducted by him. The Select Panel continues to investigate him. Below are a listing of medical emergencies that have occurred at Carhart abortion businesses in Germantown, Maryland, and Bellevue, Nebraska, since 2012. • December 15, 2015, Germantown, MD: Abortion patient transported to emergency room while Carhart accompanies. • July 2, 2014, Germantown, MD: African-American abortion patient transported to hospital. • March 4, 2014, Germantown, MD: Patient hemorrhaged after 2nd trimester abortion complications. 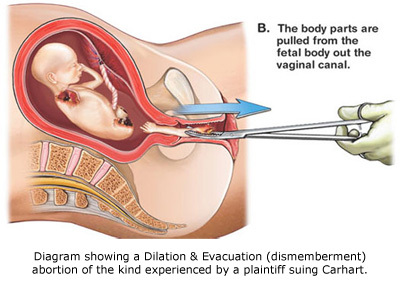 • November 30, 2013, Bellevue, NE: Patient suffered 2nd trimester abortion complications.